Just a very simple Cheesecake with a hint of lemon from the FA Custard. 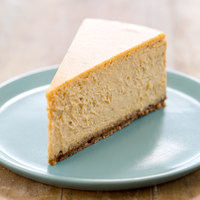 Cap NY Cheesecake: Just a nice balanced Cheescake flavoring that doesn’t have to much crust taste but is light bodied and full of Flavor. Loran’s Cream Cheese Icing: This mixes very well to create that nice cream cheese flavor you get from real Cheesecake at 1% it’s just perfect not too overpowing. FA Custard: This adds a nice light Lemon zest note that you get from real Cheesecake. Use this at .5% so it does not overpower the mix. Shisha Vanilla: Adds a nice sweet Vanilla Flavor to mix that blend very well to make the perfect Cheesecake a bit sweeter. Cap Vanilla Custard V1: at .5% adds a nice Amount of body and eggyness to recipe to make it all round out. What you get in the end is a perfect Ny Cheesecake that is nice and not overly layered or complex and has the perfect Body of a real Authentic piece of Cheesecake. Mix this up and Enjoy, its absolutely delicious after a nice 3 day Steep. Taste good off the shake mixed at 70/30. If you want a fruit added to it feel free to make it. Works well as a Strawberry Cheesecake with 1% Shisha strawberry added. This is my favorite cheesecake to date. I feel like a lot of cheesecake recipes have too much going on, and they never really come together. This one is simplified quite a bit and hits the notes I want. Simple and delicious. Very easy to vape all day as it's not overly layered. Nice one!